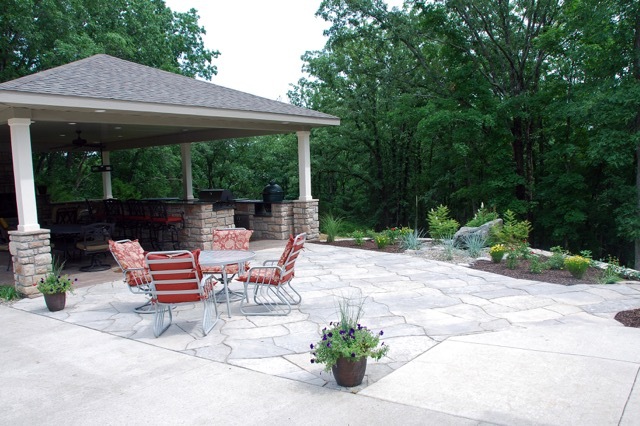 At Designer Landscape we design patios that are a solid addition to your property and backyard space. Our patios provide an enjoyable space to have family gatherings, entertain guests, BBQ, or just lounge. 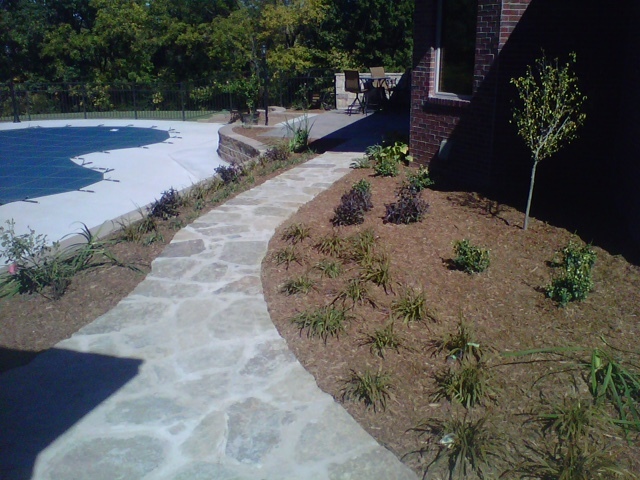 Our professional hardscape crews install functional and durable patios that are beautiful, useful, and durable. With the stringent guidelines and application of standardized building systems, the patios Designer Landscape installs always have “The Designer Touch” and will last a lifetime. Paver or brick patios, flagstone patios, cut blue stone, stamped concrete or concrete patios are some of the choices we provide at Designer Landscape. In today’s market there are many choices of patio material. 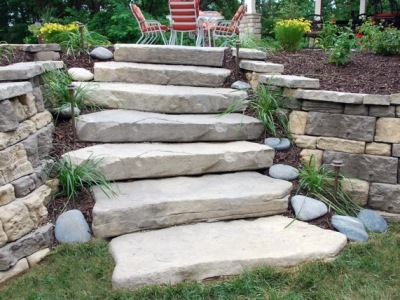 Call Designer Landscape today and we can help you choose a product that will accent your property and add value. When designing a patio, keep in mind the layout to ensure proper water drainage off and away from the patio. This can be accomplished by using a transit level or a string line level. If there is a concern about excess water or saturation, a drain system may be installed in the aggregate under the patio. One of the more proven and reliable methods for building a paver or stone patio is to excavate and remove approximately 12” of soil. Backfill approximately 8” of 1” clean gravel and thoroughly compact with a hand compactor or viber-plate. 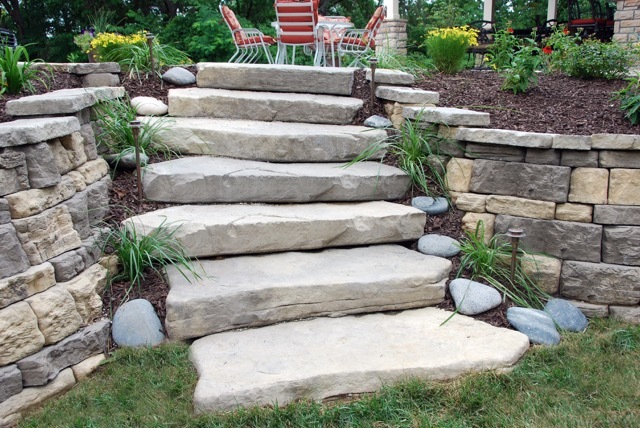 Add a 1”-2” setting bed of fine granular crushed limestone, or sand. Grade the granular material to the proper level using grade sticks. The paver or stone surface material can now be installed. Generally cutting in around the edges is easier if it is done last after the flagstone or pavers are installed. 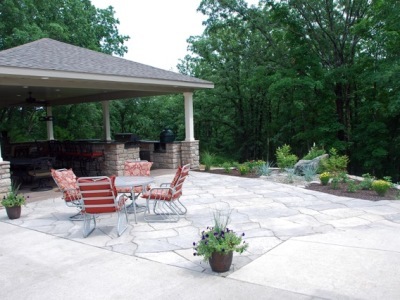 Contact Designer Landscape to help you with any of your patio needs.